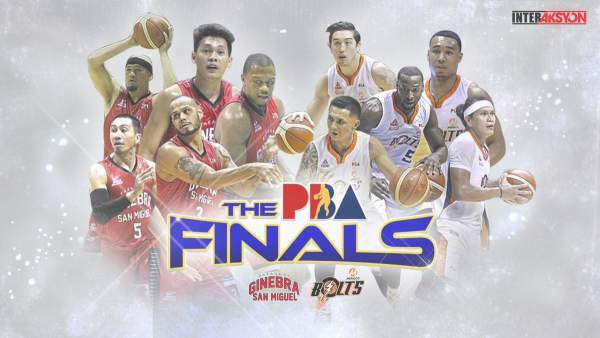 Ginebra vs. Meralco - PBA Finals: Governors' Cup 2016 Schedule, Results, Scores & Live Stream Info - Balita Boss! The 2016 PBA Governors' Cup Finals are set to be epic. The Meralco Bolts will make their first PBA Finals appearance in franchise history and will face the Barangay Ginebra San Miguel, who made it back to the Finals after a 3-year wait. The action gets started Friday night (October 7th) in Smart Araneta Colisuem in the best-of-seven series. The Meralco beat the TNT KaTropa in Game 4 of their semifinal series to book PBA title showdown with Ginebra, who took five games to dethrone the defending champion San Miguel Beermen.